The brochure states: "You don't need extraordinary ability or a lot of money to get started. It takes careful preparation, plus a common-sense understanding of what you'll have to do to succeed." "A mail-order business offers an ideal way for a couple to make money at home, with a minimum investment. You can sell hundreds of things -- from canaries to kitchen gadgets -- by mail, and there's no middleman to share the profits. The book tells you what you need to know about mail order, to be successful." 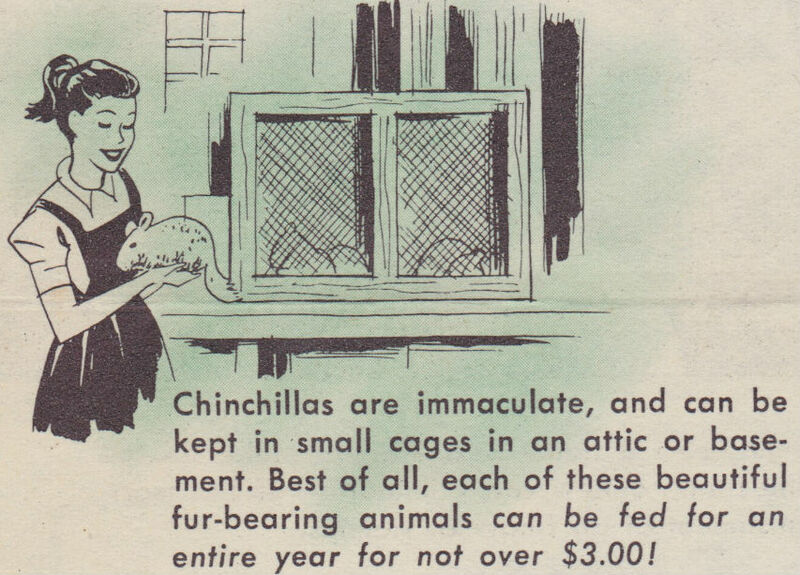 And what could you do with all this extra money in 1954? 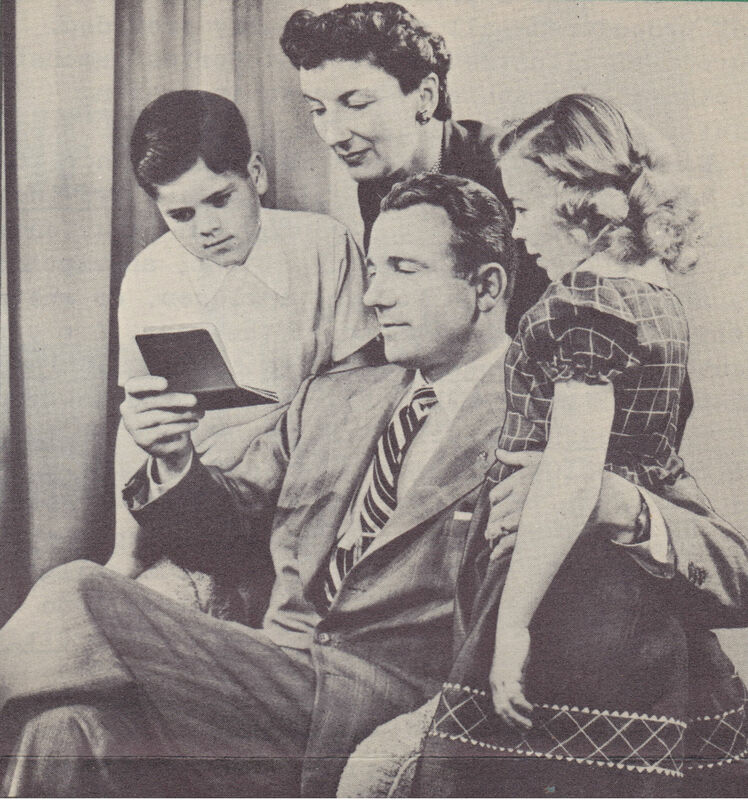 According to the brochure: "That extra income can mean a luxurious fur coat3, a new TV set, a cherished piano, an expensive new car, a better college for the children, or whatever you want." 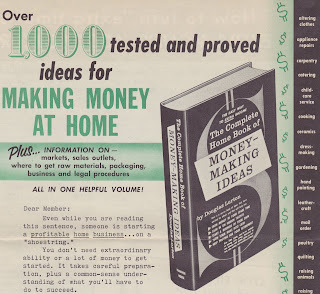 *My apologies to those of you who came this blog hoping for actual advice on how to make money from the comfort of your own home, and were deeply annoyed to find a post about historical ephemera. You have to admit, though, that this entry's title is fantastic for search engine optimization. 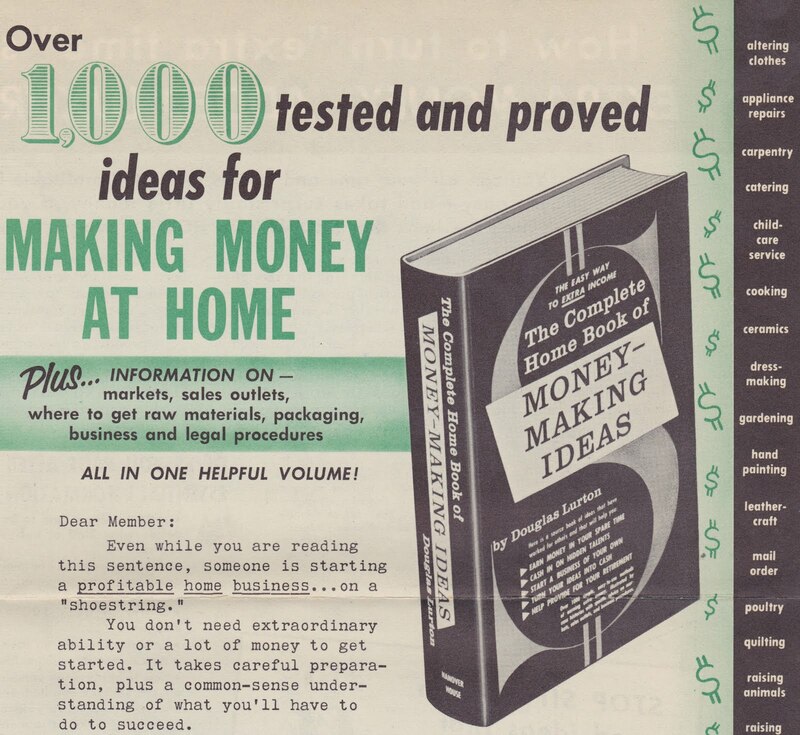 The only thing that would have made it better would have been to title it "Justin Bieber's 1,000 tested and proved ideas for making money at home." But that would not have been accurate or honest. It would have been gratuitous to mention Justin Bieber. This would also be gratuitous: "Justin Bieber. Justin Bieber. Justin Bieber." Also, "Scott Baio." 1. 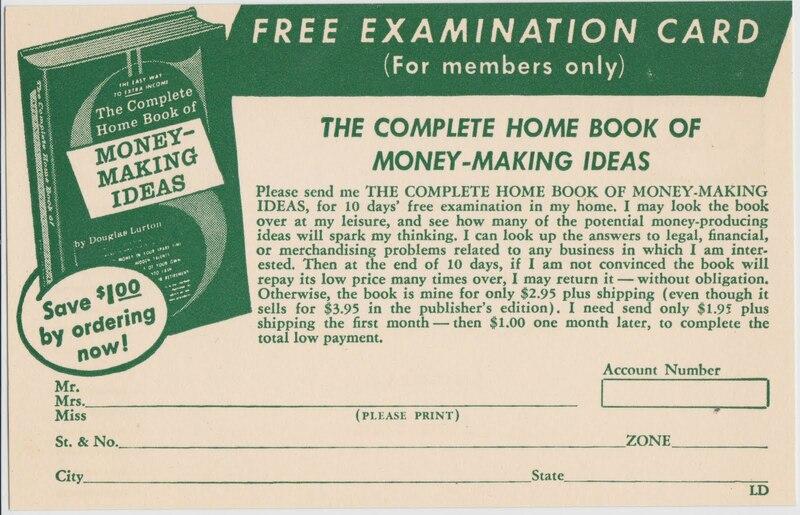 There's still a fair market for the book, 57 years later. Copies are available on Amazon and can be had for less than $4. 4. Justin Bieber not included. Don't be too quick to write off the mail order ideas. 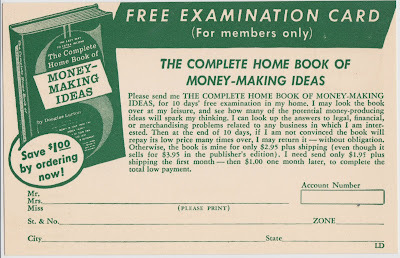 The 50's and 60's were the golden age of mail order, and I remember knowing and dealing with people who turned hobbies into extra income that way. Advertising was cheap, even in the dozens of nationwide specialty magazines. I remember being fascinated by things like "10 old postcards for $1.00" or "tumbled gemstones for 10 cents each." To be honest, I rather miss them.